While it’s hard to make a bad pie, it’s not everyday you encounter one as unique as A La Mode‘s Blue Hawaiian. 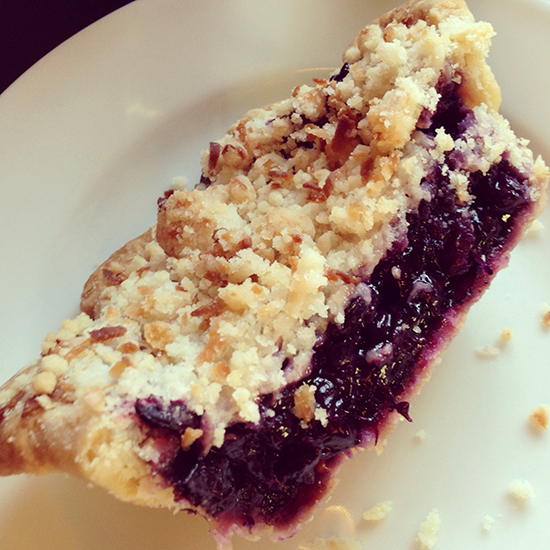 With blueberries, coconut, pineapple and sweet crumble; it’s quite awesome. The small shop, right near the Zoo, is friendly and also serves lollipop pies and a variety of other flavors that I can’t wait to try.